Germany-based nora systems GmbH has developed a thermoformable closed cell foam for shoe insole, Astro form 8, which is based on ExxonMobil Chemical’s Vistamaxx propylene-based elastomer (PBE). According to ExxonMobil Chemical, the new material exhibits several advantages over traditional closed-cell ethylene vinyl acetate (EVA) foam. With a hardness of Shore A 8, Astro form 8 is softer than EVA-based foam and it is durable and flexible. It also delivers good touch and haptic properties. 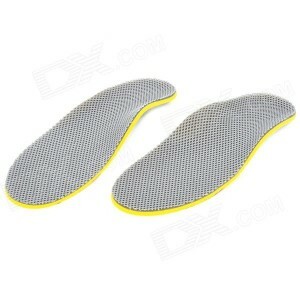 In addition, the material has high recovery capability, returning to its original shape after compression. It has been skin tolerability tested and certified by the Fresenius Institute. Compared to nora systems’ own styrene-butadiene-styrene (SBS)-based Astro med 10, Astro form 8 can be thermoformed, making it easier for insole manufacturers to produce a custom-made insole and helping to speed up production. “By using Vistamaxx PBE we created an even softer product, 8 Shore A versus 10 Shore A, reaching regions where we almost get below the applicability of the Shore A scale, while still maintaining excellent recovery and thermofomability,” says Dr Mario Kröger, Head of Product Development, nora systems. Due to the inherent adhesion of Vistamaxx PBE, nora systems said the Astro form 8 shows strong properties, which is important to insoles manufacturers as they often consist of several layers which are combined in a series of manufacturing steps. Typical applications of the new insole include artificial forefoot cushioning, soft sockets for people who have foot stumps, and diabetes-adapted foot bedding. Other markets that could potentially use the new material include sporting goods, furniture, medical engineering and automotive, added ExxonMobil Chemical.